Steam broccoli florets until just tender for about 3 minutes. Once cool, chop and combine with chickpeas, scallions, and slivered almonds. You can add the red onions here if desired. For dressing, combine garlic, mustard, honey, lemon zest and juice in a bowl. Slowly add oil, whisking to emulsify, and season with salt and pepper. 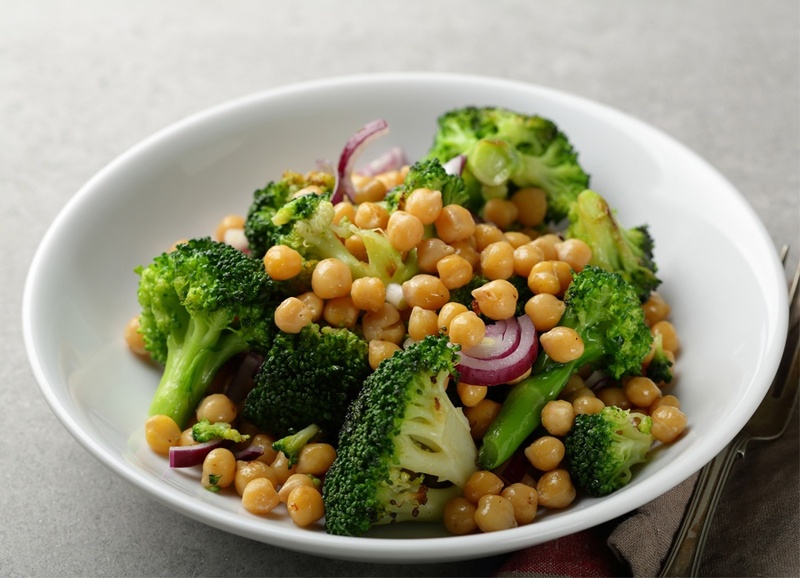 Drizzle broccoli mixture with dressing and adjust seasoning. Salad can be refrigerated in an airtight container for up to 2 days.